The last light of day peeks through the palm trees and shimmers over a resaca in Brownsville, Texas. These waterways are found throughout this southern border town and are remnants of the Rio Grande’s former path. 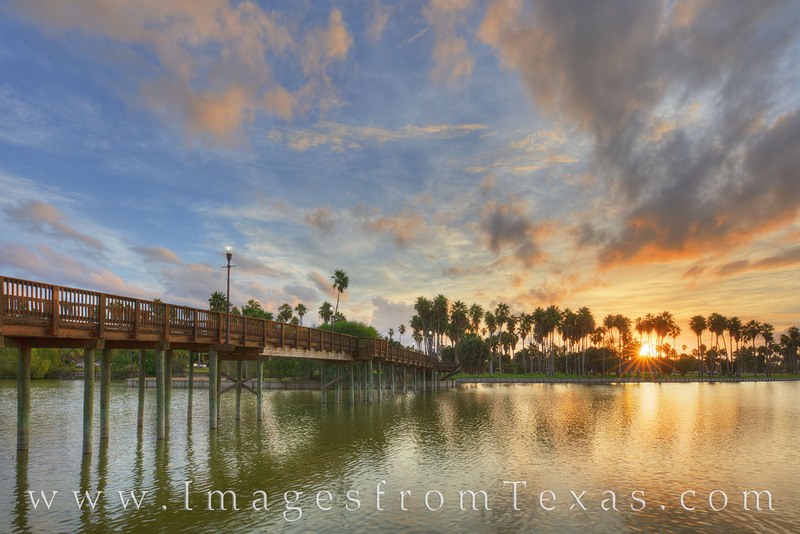 This location and this beautiful wooden footbridge is found near the Texas Southmost College campus.